Tropical foods, flavors and spices: We eat them, drink them, cook with them and use at least one or more daily, but how much do you really know about the delicacies in your refrigerator and pantry? For instance, do you know that Brazil was named for the nut rather than the reverse? Think pineapples are native to Hawaii? Nope, they’re from South America. What about bananas? They originated in the Indo-Malaysian region, extending to Northern Australia, but the English word, “banana” came via West Africa where it was called “banema.” And, it took a lot of selective breeding to make it edible. Learn more about the origins and remarkable facts that illuminate the daily treats we assume have always been available and will always continue to stock the shelves of our markets. Tropical foods, flavors and ingredients:. You eat them, drink them and use them as flavors and spices just about daily, but how much do you really know about the delicacies that fill your refrigerator and grace your pantry? For instance, do you know that Brazil was named for the nut rather than the reverse? Think pineapples are native to Hawaii? Nope, they’re from South America. What about bananas? They originated in the Indo-Malaysian region, extending to Northern Australia, but the English word, “banana” came via West Africa where it was called “banema.”Learn more about the origins and remarkable facts that illuminate the daily treats we assume have always been available and will always continue to stock the shelves of our markets. New articles are posted on a regular basis, so be sure to check back regularly to learn more about the foods, flavors and ingredients we all love as well as wonderful recipes that will showcase their unique properties. How Much Should Chocolate Cost? Have you noticed that prices for cocoa powder and chocolate have gone up recently? One of the members of the Baker’s Dozen, San Francisco group was shocked when he priced a 4-1/2 pound pail of cacao recently. Sticker shock should be no surprise. There’s a horrendous political standoff in Cote d’Ivoire (Ivory Coast) that began with elections in November, but that doesn’t appear to be getting any closer to resolution. Electricity and water were cut off to half the country recently and food shortages loom. 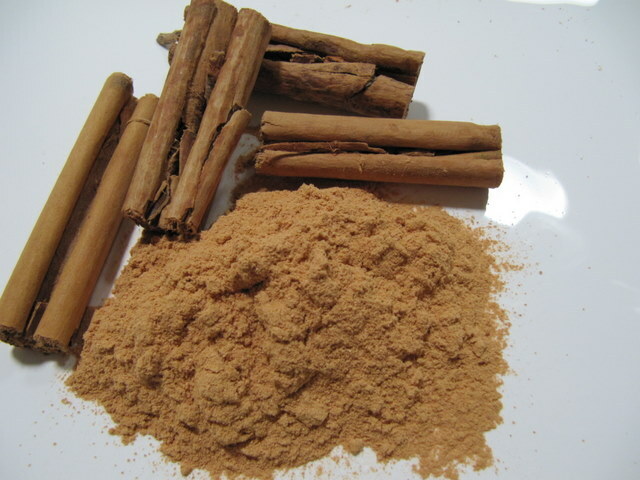 Cinnamon is a flavor just about everyone recognizes, but did you know that’s there’s more than one kind? One’s true and one’s not though you can find both here in the States. So how do you know “what is and what ain’t”? In the process of my Numi Pu’erh tea blogging challenge I have become quite interested in pu’erh, not just because it tastes good, but because it comes from a very interesting part of the world that most of us in the West know little about. Yunnan Province in Southwestern China, is the birthplace of pu’erh. It appears that there are few, if any, early records about pu’erh, but it has been around for at least 1500 years, as I mentioned in an earlier blog. Recently I went to the Specialty Food (also known as the Fancy Food) show in San Francisco to see what was new and exciting in the food world. I also went to connect with companies who are supporting sustainability and ethical trade with farmers as well as selling fair trade and organic products. I’m happy to say that the number of specialty food companies buying consciously is growing, a hopeful sign for growers and consumers alike. A company that I am quite interested in is Numi Tea. We carried Numi’s organic Indian Night Decaf Black Vanilla tea in our gift packages and by the box when we were still doing retail sales in our online store. The vanilla is delicate and understated, just as it should be so that the quality of the tea leaves are enhanced rather than overwhelmed by the vanilla. What is Chocolate Tempering and Why do We Do It? When you melt chocolate you are melting the cocoa butter crystals as well as the sugar. In order to achieve the original luster and stability of the chocolate you must temper it before dipping or molding. The technique is not difficult; it only requires practice with care and patience. Café express: Sometimes called café noir, café nature, or café normal. This is a small, espresso-style coffee. (Calling it an espresso would raise the ire of Italians everywhere.) If you simply say you want a “café,” this is what you’re going to get. Every time. Chocolate’s Really Good for You! Did you know that dark chocolate can improve your vascular function? Better said, did you know that dark chocolate is actually really good for you? Well, it is! Dark chocolate is part of a category of flavonoids called flavonols. Within that group are a number of compounds that have catechin. Those two compounds, catechin and epicatechin, are naturally occurring chemicals that can increase the levels of nitric oxide in your bloodstream. Raising the nitric oxide level makes your arteries dilate and relax, promoting better blood flow. As we age, our arteries can narrow and become constricted. If they become inflexible and narrow too much we develop athersclerois. When this occurs, our blood pressure goes up, which can lead to cardiac disease or stroke. Lychee, Litchi sinensis, is a tropical and sub-tropical fruit that comes from a mid-sized evergreen tree that has leaves that are coppery in color when they first appear, and that turn bright green when mature. The fruit is an ovoid drupe a few inches in size, covered with a rough, red inedible rind that is easily removed. The fruit itself is translucent white and delicious. There is one brown seed in the center. The lychee is native to low elevations of the provinces of Kwangtung and Fukien in Southern China. Cultivation spread over the years through neighboring areas of southeastern Asia and offshore islands. It reached Hawaii in 1873, and Florida in 1883, and was brought to California from Florida in 1897. Madagascar is a primary exporter of lychees. Here are some unique and delicious iced beverages created by tea specialist Annaliese Keller. The teas and tisanes can be ordered from www.malabartradingco.com and affordable are well worth ordering. This refreshing beverage is reminiscent of the rose-colored iced drinks served at Caribbean street carnivals. For best results, make the tea the night before serving. Q: How many cups will I get from one ounce of tea? A: A pound of tea yields between 200 -250 cups of tea. An ounce of tea will yield between 12.5 and 15 cups of tea. Q: How much loose tea should I use? A: Typically at professional tastings, the optimum tea quantity is 1.5 grams per 5.5 ounce cup of water. However, few have a gram scale at home and must rely on common household measures, such as a teaspoon. Start with a level teaspoon of loose tea, and then adjust it up or down according to your taste. It doesn’t take long to find your preferred strength. Keep in mind that using too much tea is a waste of product, and can result in a bitter, unpalatable cup of tea. Q: Do you sell decaffeinated teas? On a beautiful Spring afternoon not long ago, I was invited to join friends for tea. Now, I know that many people welcome friends to drink afternoon tea and share scrumptious food, but how many people have the pleasure of experiencing drinking tea at the source? My friends Rob Nunally and Mike Longo are the owners of Onomea Tea Company a boutique tea garden located on one of the most beautiful bluffs overlooking Onomea Bay near the Village of Papa’ikou on the East Coast of Hawai’i Island. The setting for our beautiful tea was their spacious open upstairs lanai with a view of the bay, the ocean and included, just for our enjoyment, a playful mama and baby whale jumping and having fun just off the bluff. A double rainbow and a ship leaving Hilo Harbor completed the stunning ‘special effects’. Tea tasting is similar to wine tasting: specific methodologies are used for tasting tea and an entire language exists for describing tea characteristics. A good way to begin tea tasting is to line up your favorite teas in different categories and start comparing. Or, set up four black teas from different regions, such as Assam, Nigiri, Darjeeling and Sikkim. As you begin your tasting journey, note how the flavors may differ depending upon origin, soil type (terroir), style of tea and steeping time. Like wine, differences in taste can be attributed to location, climate and how the tea is processed. Steeping times also attribute unique characteristics to tea. Try brewing one black tea at intervals of 30 seconds, ending at five minutes. Or, infuse the same oolong leaves four times, noting the unique flavor profiles from each subsequent steeping. Brewing tea does not require special equipment. You may use a saucepan, a lovely porcelain teapot, or a simple clay teapot. Do NOT use mesh ball infusers or “spoon” infusers. Tea brews best in water with the leaves freely circulating. A small, fine mesh strainer is helpful for removing leaves from the finished infusion. There are also mugs available for single cups of tea with fitted strainers that rest on the rim and can be removed after infusing. Start with cold, filtered or bottled drinking water. Heat water to the correct temperature for the tea you are brewing (see chart below). Do NOT use boiling water for green or white teas. Boiling water will burn the leaves and create a bitter infusion. The cooler water temperature is CRITICAL for green and white tea. Sesame, Sesamum indicum, is a flowering annual plant with numerous wild cultivars in Africa, as well as some in India and Pakistan. It is now grown in tropical regions worldwide and cultivated for its highly nutritious seeds that grow in pods. The flowers of the sesame plant are usually yellow, though some cultivars are blue or purple. The seeds themselves can vary in color from creamy-white to black. Candlenut, Aleurites moluccanus, is native to the Indo-Malaysia region and was introduced in ancient times throughout the Pacific islands and into Asia. It now grows in much of the tropical world.